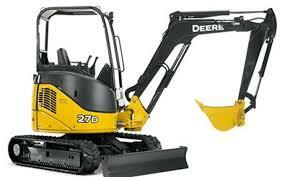 Position yourself for greater productivity with our John Deere 27D mini excavator. 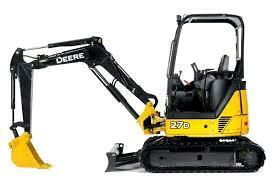 The 27D's zero-tail-swing design allows this nimble excavator to rotate fully without banging it's tail into something. Combined with independent-swing boom and 360-degree rotation, it can slip into close quarters comfortably and work with ease around obstacles. But it s not just its shape and small stature that make the 27D such valuable assets. High-torque diesel engine, quick cycle, fast transport speed, and ample drawbar pull make the small-but-mighty 27D, a highly capable compact. 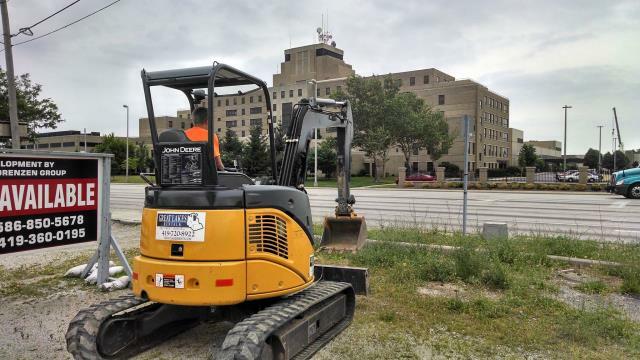 * Please call us for any questions on our 27 series mini excavator 6 7k rentals in Toledo OH and Perrysburg OH, serving the Toledo metro area.